May be used for cut, uncut and taut sheath applica- tions. May be used for all fibre optic cable. Sheath retention & central strength member fastensystem included. Splicing capacity max 48 F.
Fibre Optic Dome Closure Mechnical with PP material on Aerial cable 24 fusion splices with aerial mounting kit. Fibre Optic Dome Closure Mechnical with PP material on Wall cable 24 fusion splices with wall mounting kit. 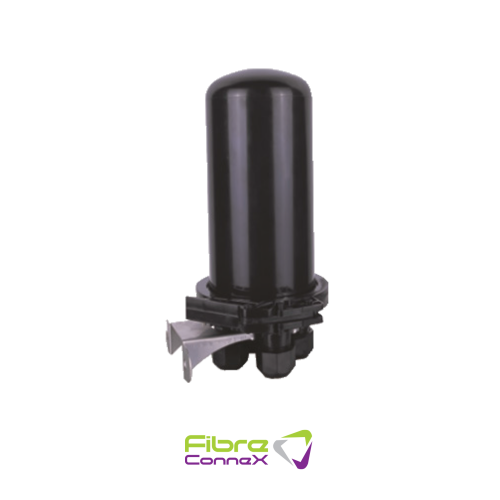 Fibre Optic Dome Closure Mechnical with PP material on Pole cable 24 fusion splices with pole mounting kit. Fibre Optic Dome Closure Mechnical with PP material on Aerial cable 48 fusion splices with aerial mounting kit. Fibre Optic Dome Closure Mechnical with PP material on Wall cable 48 fusion splices with wall mounting kit. Fibre Optic Dome Closure Mechnical with PP material on Pole cable 48 fusion splices with pole mounting kit.